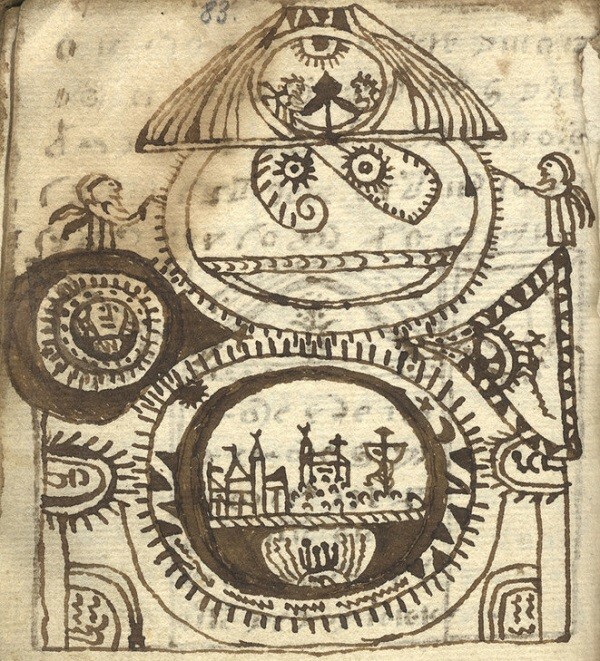 The Rohonc Codex is a illustrated, handwritten manuscript in some ways similar to the The Voynich Manuscript and other mysterious, encoded texts from the European Middle Ages. Not a single word has been decoded from the Rohonc Codex, though many have tried. Year-long studies have been made and experts in encryption have worked on the case. What is especially intriguing is that many of the failed attempts to solve the puzzle concludes that the scripts regularities strongly suggest a meaning. So this is the gospel written in a language that you have to read from right to left. Hello everyone. This book is a Geto -Dacic book about Christian religion. In this book is described all life about Jesus. This book can be read at right from left. But for beginning everyone who wants to know more about this book. It is necessary to study about Geto -Dacic culture. No, no and no! you are all wrong, nobody understands this language, making stupid conclusions about this being the life of christ well makes me believe we got a bunch of low educated fools writing comments here. There will be a day when someone deciphers this, but not today. So please do not make these weird assumptions. This looks like it was written in a mirror or just written backward. I’m tempted to say it is a fraud. Just glancing through it I noticed that character sequences are common on one page then totally disappear for a number of pages then return here and there. That would indicate an inconsistency in prepositional use. It’s life of Jesus (zzi) written in an old dialect of aramaic (I think)-a missing chapter of history written by the same man. Normal reading is right to left. I think only the images are normal top to bottom. It is certainly rough to follow, and language aside… anyone who has a legitimate background in Judeo-Christian history, art or study of theology and Jewish & Catholic symbolism, can reasonably conclude this is about Christianity. Whether it is in support of or against remains to be seen. But unfortunately, our “Genius” friend, has elevated their own wisdom and understanding beyond a level they can attain in reality, by being so quick to dismiss. As far as art “style” goes, I couldn’t even name the influences accurately…so I’ll leave style to the art experts of this period. I am however, very savvy with symbolism, symbology and symbolic interactions. I’m only going to name a few here. There are several images depicting ritualistic settings or behaviors which are uniquely specific to ancient Judean customs, one appears to (possibly) depict a setting for a Seder meal. There are other customs & behaviors depicted that suggest potentially Levitical practice(s). While others blend Jewish tribal custom with early Catholic practice. There is even one which appears to depict a consecration of a Eucharistic sacramental offering, or the mass. The crown of thorns and the “passion” scene are uniquely Christian… as well as the depiction of the 3 crosses, with the Christ in the foreground with a “cruciform halo” (widely used in Christian art during the medieval era), with the 2 thieves just behind him, both looking towards the Christ, one in acceptance, one in rejection…this is classical Christian imagery. There is evidence of early Coptic Catholic, Byzantine Catholic, Eastern Orthodox as well as other uniquely Christian symbolism being used. The usages and ordered placement of these symbols and the symbolic interactions occurring is what intrigues me, as this suggests the author of the artwork portion, was at least very familiar with the Christian religion, i.e. knowing what and where certain symbols were to be placed and how. Whether the artist and writer are the same, I couldn’t begin to say. I submit it may simply be a regionally specific rendition of the story of Christianity, for either educational or historical purposes of the era. (Pictorially) it is clearly supporting ancient Jewish behaviors, Christian customs and perhaps the early Patristic era of the Catholic Church. That’s just my take on it, and I hope that the future will reveal the correct answer! Feel free to disagree, I simply had a blast looking at this ancient document, but then again that’s kind of my thing! So thank you to holybooks.com for the contributions you’ve made. Hello, fellow puzzle lovers. I believe I have found a handful of words in a particular section of the codex, one of which is the name “Jesus” written numerous times, as one would expect. I have also found that the text was indeed written from right to left as in the near-eastern and middle-eastern way. 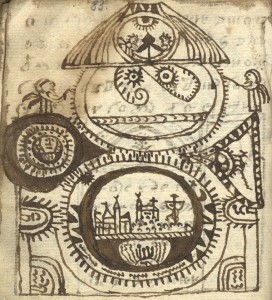 Is there a website devoted to this codex where I can explain more of what I have found? “Rohonc” IS CHRONO . Chrono is about the awful way Jesus Christ died. by being badly beaten and then being nailed to a large cross. On behalf of my wife, I am backing up her comments in re the “Rohonc” mystery. Earlier she told you that Rohonc and the images are all about the crucifixion of Christ. She also referred you to a very interesting book written by Russell Shorto “Gospel Truth”. Though this Rohonc Codex could be very exciting, to truly know “all life about Jesus” and Christianity, there is no more need of mysterious languages or alphabet. You can read it in English, from left to right, the Jesus Truth dictated by Himself across the beginning of this millennium in 9 basic LETTERS (so far 11 translations to the world). Just search ‘Christ interdimensional return’. HolyBooks.com should properly distribute it as well. Is there a hard copy or paperback version of this book? The first page visible here that everyone can see. I know what it is and what it means. This is the first time I ever find something I have been looking for via internet search. I am hoping the rest of what may await inside this book will be as well! Thanks- Only took me FOREVER to find this one!